File photo of hydro lines. 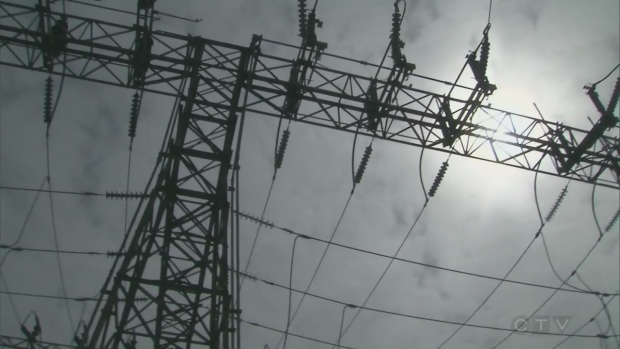 A large power outage affected a swath of Kitchener along the border of Waterloo on Tuesday afternoon. 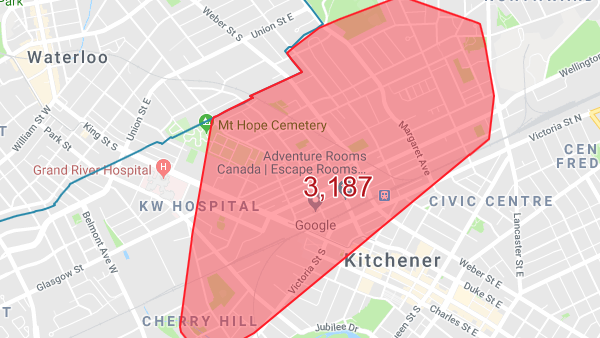 Kitchener-Wilmot Hydro customers spanning from the Cherry Hill neighbourhood to Mount Hope Huron Park were without power shortly before 4 p.m.
A total of 3,187 customers were reportedly hit with the outage. The cause is being linked to a broken insulator. Initially KW Hydro said that the estimated time of restoration was 7 p.m., but they later revised that to 5 p.m. The company is reminding drivers to treat stoplights affected as four-way stops.